"I assure the investors that UP is the best possible investment destination. The law-and-order situation is excellent," Yogi Adityanath said, while addressing the valedictory function of the UP Investors' Summit. 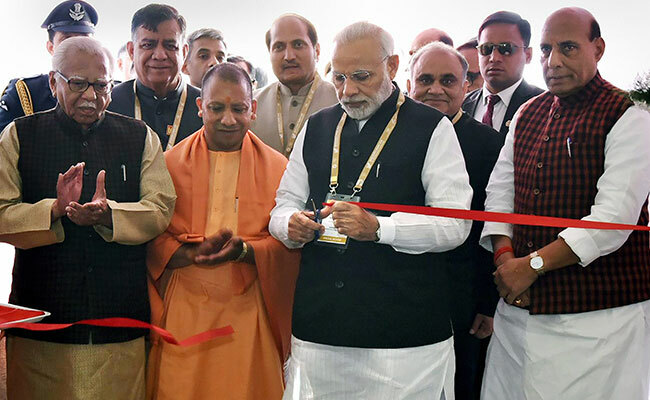 Lucknow: Uttar Pradesh Chief Minister Yogi Adityanath on Thursday said the law and order situation in the state was excellent and assured the investors that UP was the best possible investment destination in the country. "I assure the investors that UP is the best possible investment destination. The law-and-order situation is excellent," he said, while addressing the valedictory function of the UP Investors' Summit. The BJP leader added that the single-window portal, which Prime Minister Narendra Modi had launched yesterday, was the first portal for obtaining digital approval. "Under this, a person can avail of the benefits, without going through red-tapism. The state has jumped to new heights in terms of ease of doing business," he said. "In the two-day summit, representatives from 10 countries, more than 6,000 participants and over 110 companies took part. As many as 32 parallel sessions took place at the summit," Yogi Adityanath said. During the summit, the state government had signed 1,045 memorandums of understanding (MoUs), worth Rs 4.28 lakh crore, he said, adding that these would generate more than 33 lakh jobs in the state. The Uttar Pradesh chief minister also thanked the partner countries of the summit -- the Netherlands, Japan, Czech Republic, Finland, Slovania, Mauritius and Thailand. He said the Prime Minister had gifted a defence industrial corridor to Uttar Pradesh.